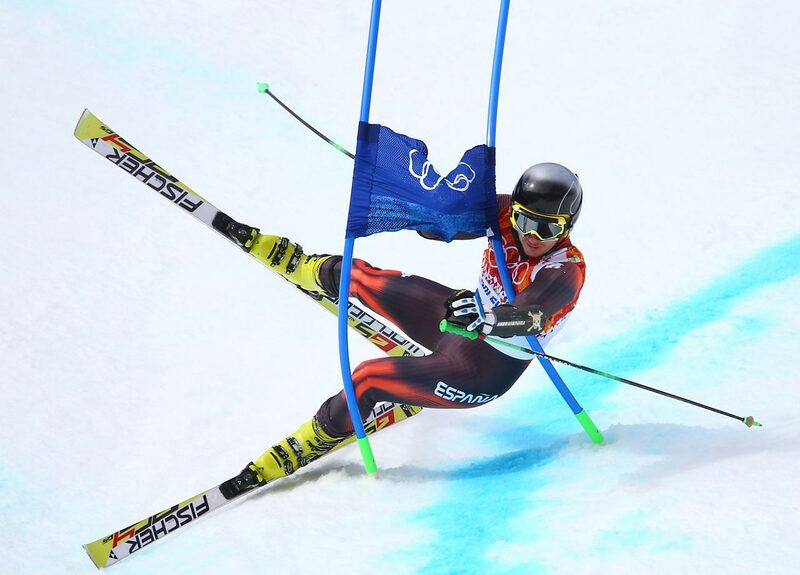 American skier Ted Ligety cruises past a gate en route to winning the gold medal in the men's giant slalom competition. 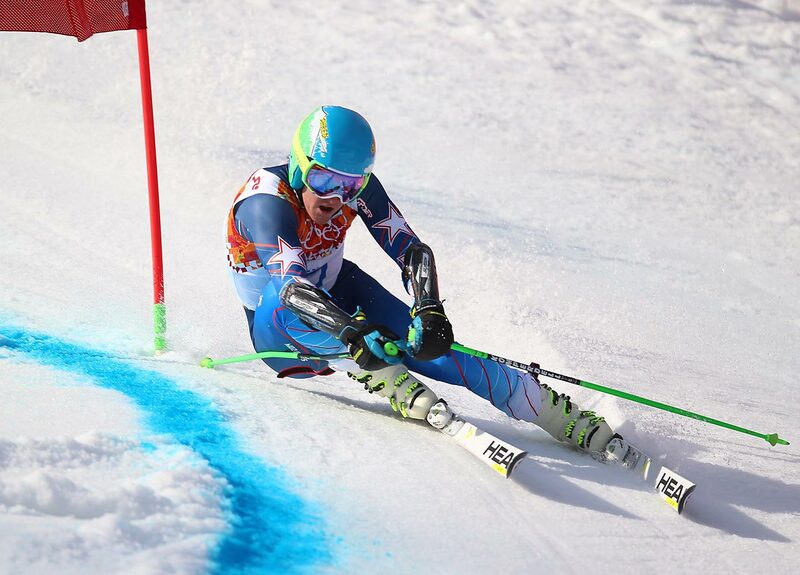 Ted Ligety is the first American man to win two Olympic gold medals in Alpine skiing. His first gold was earned in the combined at the Turin Games in 2006. 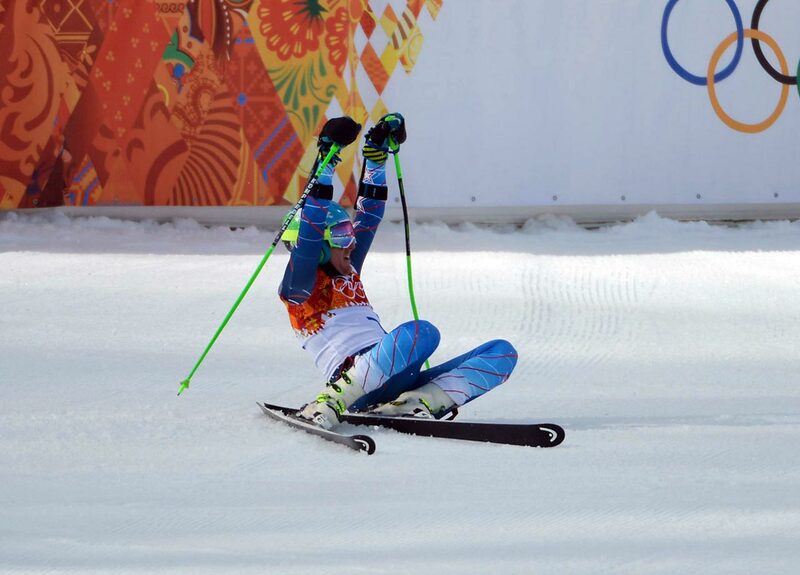 Pol Carreras of Spain crashes during his first run in the giant slalom. 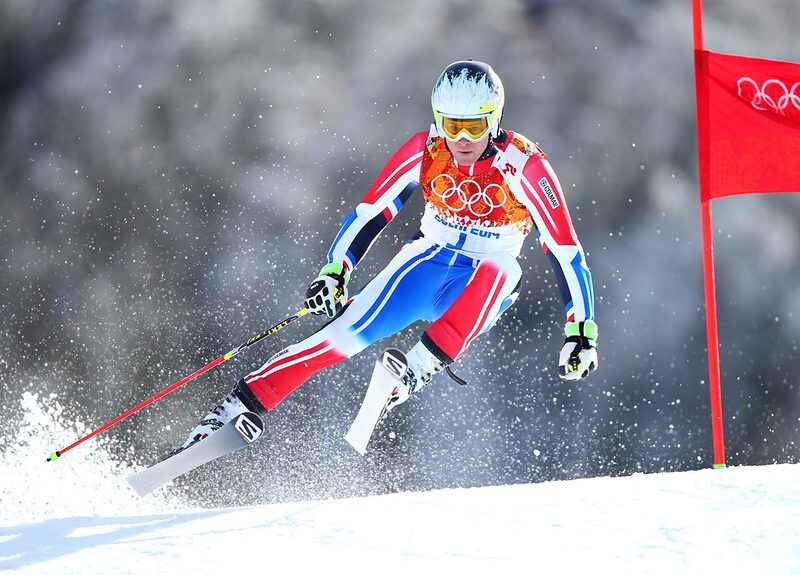 French skier Alexis Pinturalt races through the giant slalom course on his way to a bronze medal. 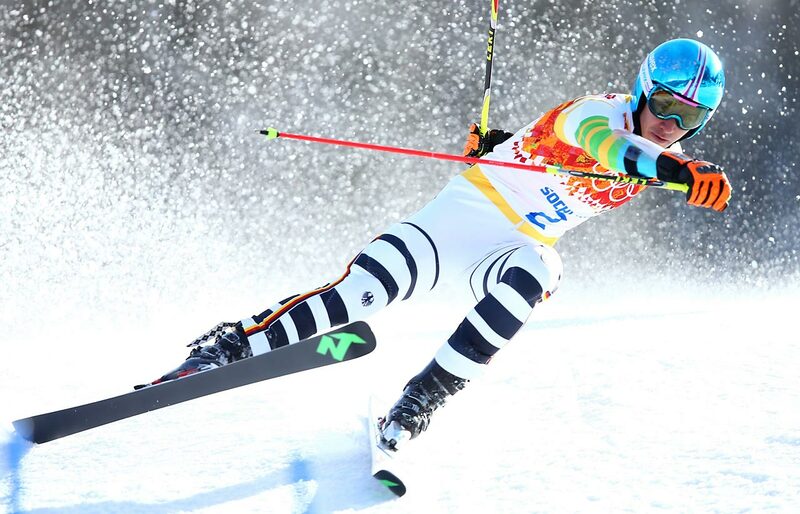 Felix Neureuther of Germany competes in the men's giant slalom. 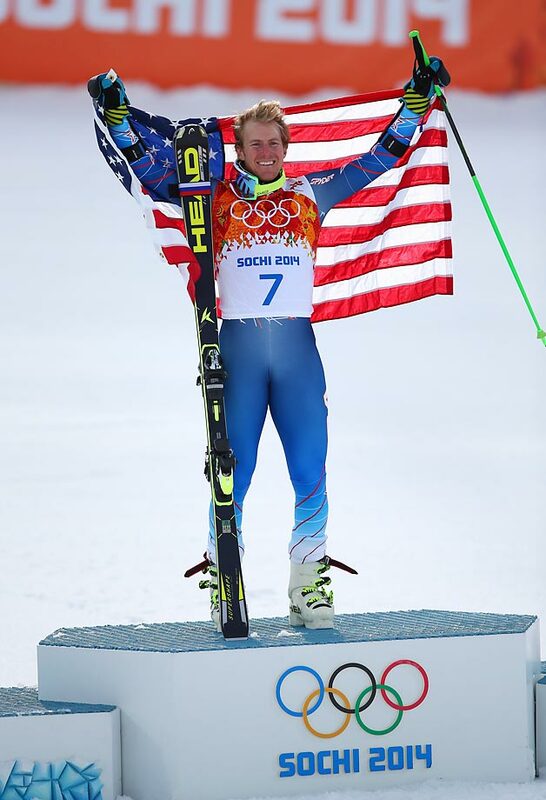 Ted Ligety holds the American flag on the podium as he celebrates his gold medal. 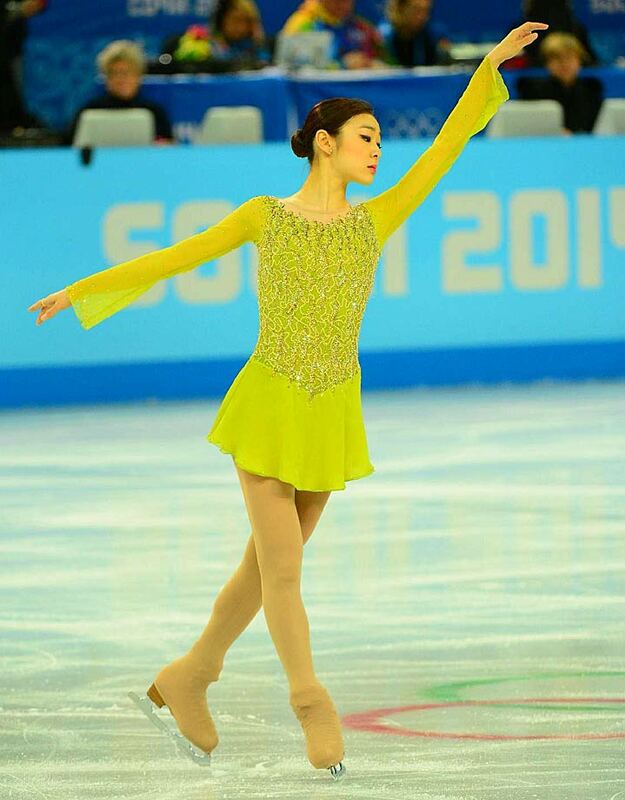 Yuna Kim of Korea, the reigning Olympic champion in women's figure skating, took the lead in Day 1 of the competition, the short program. Kim has a slim .28 lead heading into Thursday's long program. 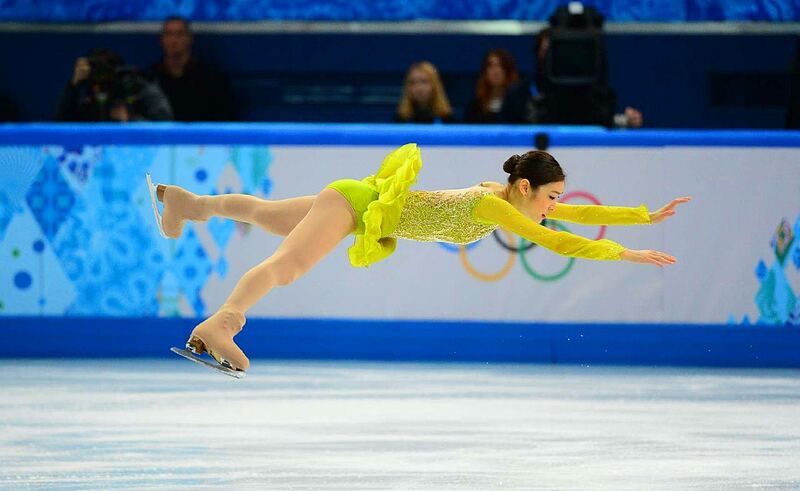 Yulia Lipnitskaya of Russia was expected to give Yuna Kim and others a run for the gold medal, but the 15-year-old lost points when she fell while doing a triple flip. Yulia Lipnitskaya is in fifth place after the short program. 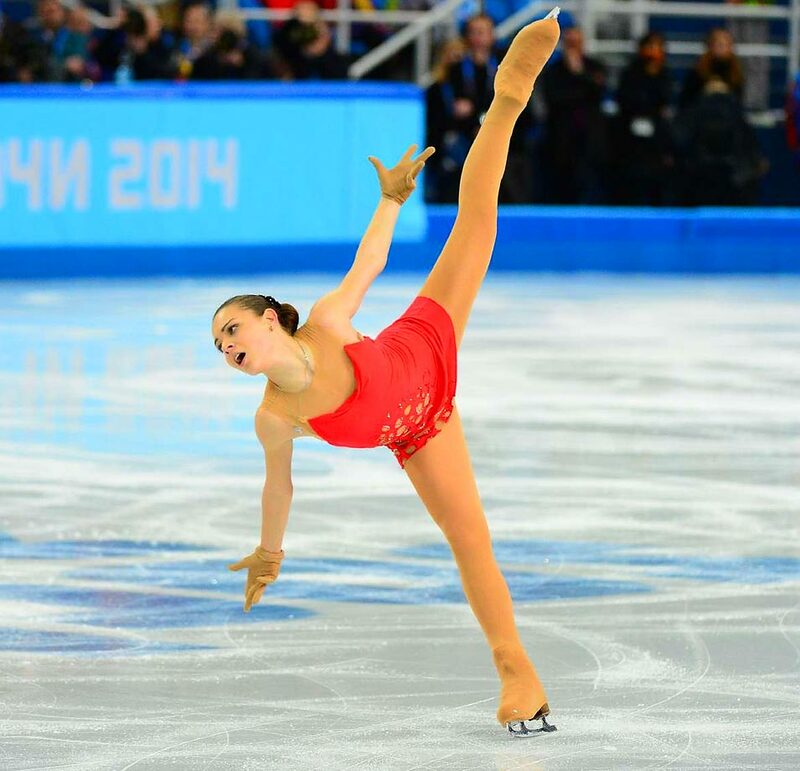 Adelina Sotnikova of Russia had the crowd on its feet before her final spin. Surprisingly, she heads into the second night of figure skating in second place. 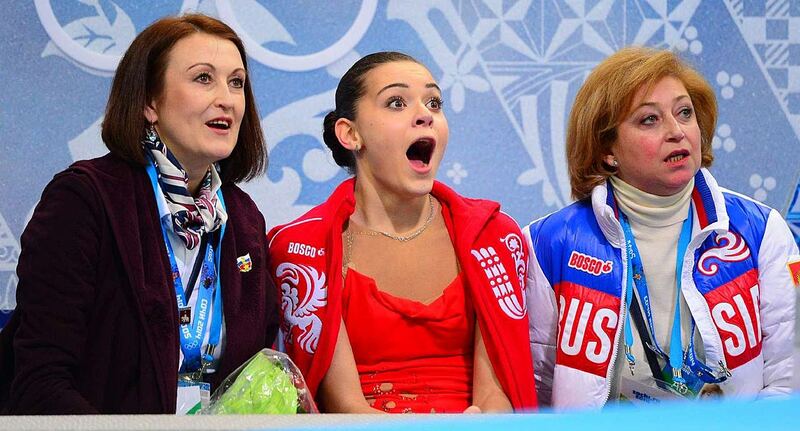 Adelina Sotnikova of Russia reacts to her scores. Gracie Gold has some ground to make up if she wants to win the top prize. She's fourth after the short program. 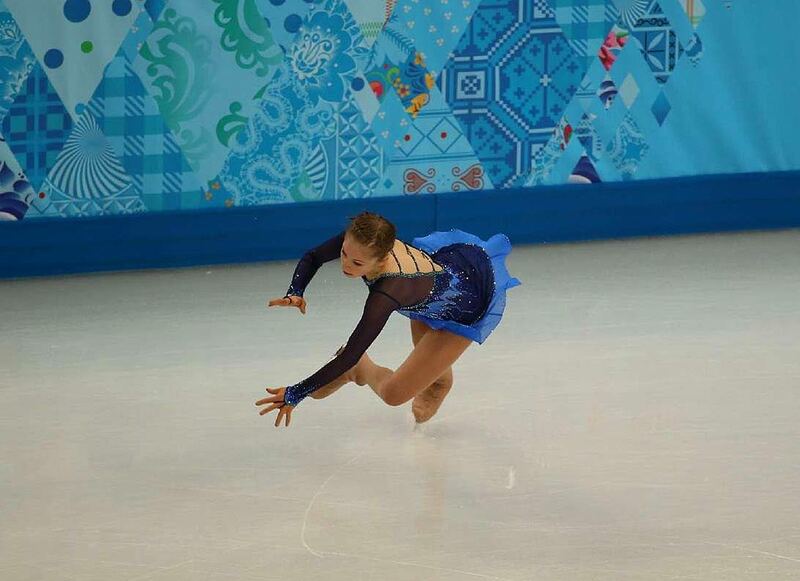 Carolina Kostner of Italy holds down third place after the short program. 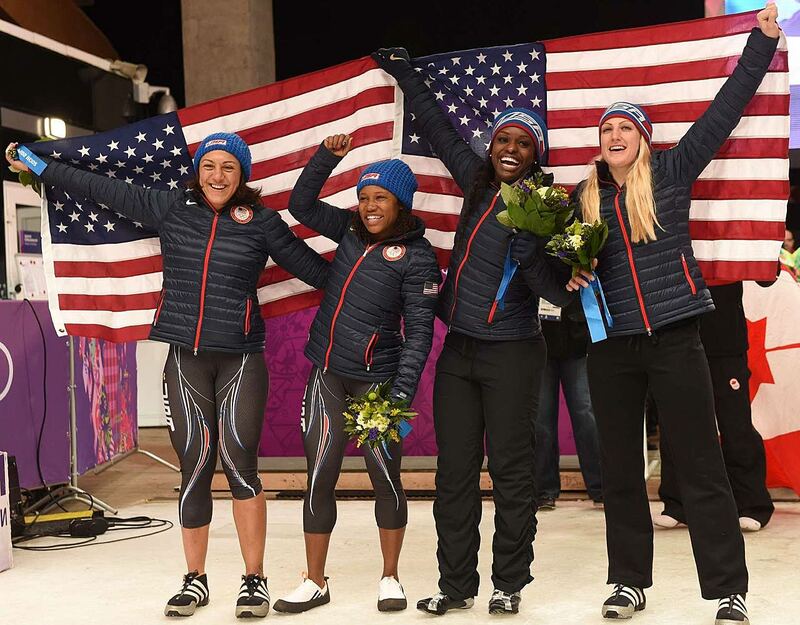 The U.S. won silver and bronze in the women's bobsleigh on Wednesday, featuring, from left, Elana Meyers and Lauryn Williams (both in second place) and Aja Evans and Jamie Greubel (both in third). 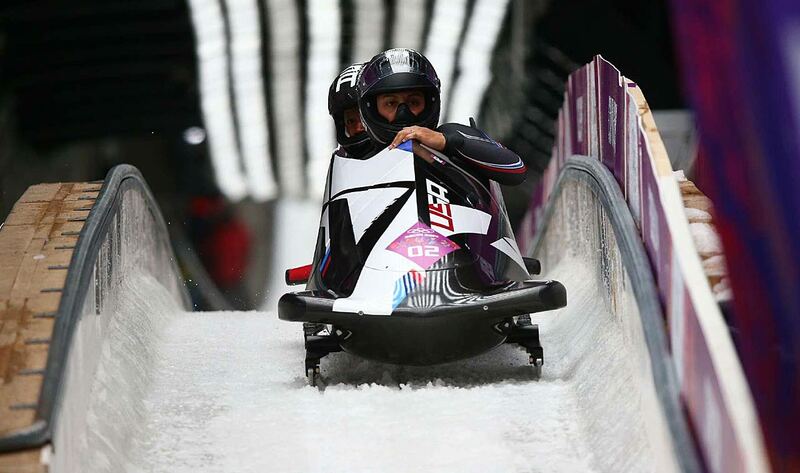 Elena Meyers became the first U.S. women's bobsledder to win multiple Olympic medals and Williams became the first U.S. woman and fifth athlete overall to win medals in different sports at both the Summer and Winter Games. 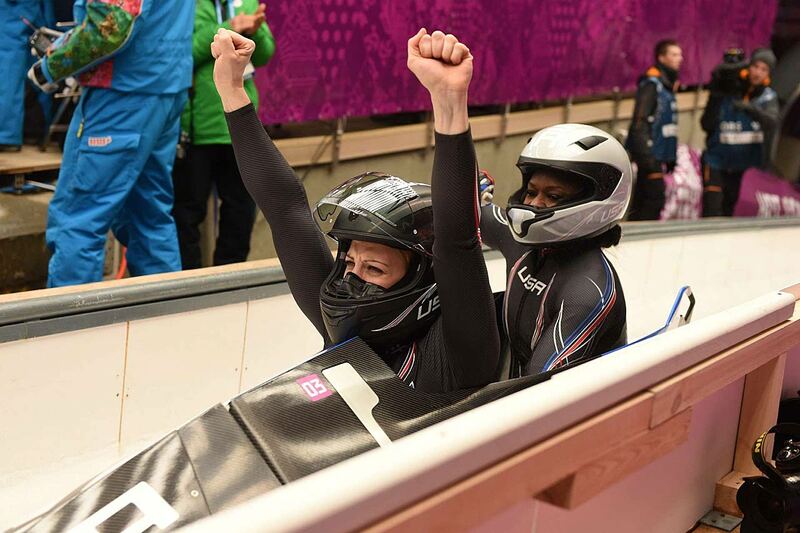 Jamie Greubel and Aja Evans celebrate their third-place finish, which gave the U.S. two Olympic women's bobsled medal winners for the first time. 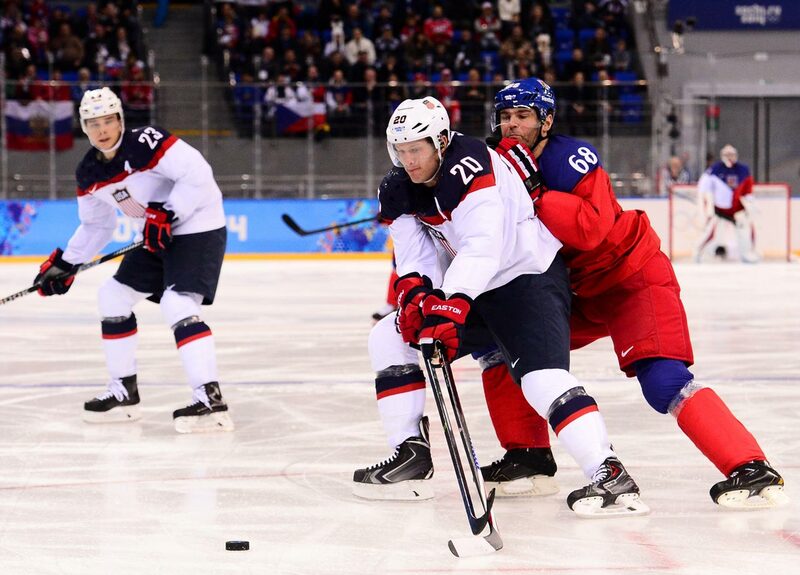 Ryan Suter of the U.S. battles against the Czech Republic. The U.S. is headed back to the Olympic semifinals after beating the Czech Republic 5-2, setting up a showdown with Canada. 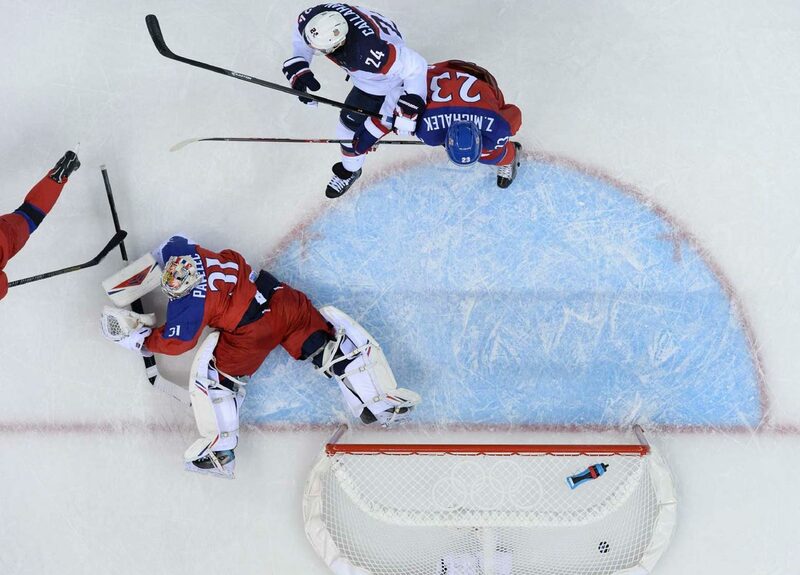 James Van Riemsdyk of the U.S. scores against the Czech Republic. 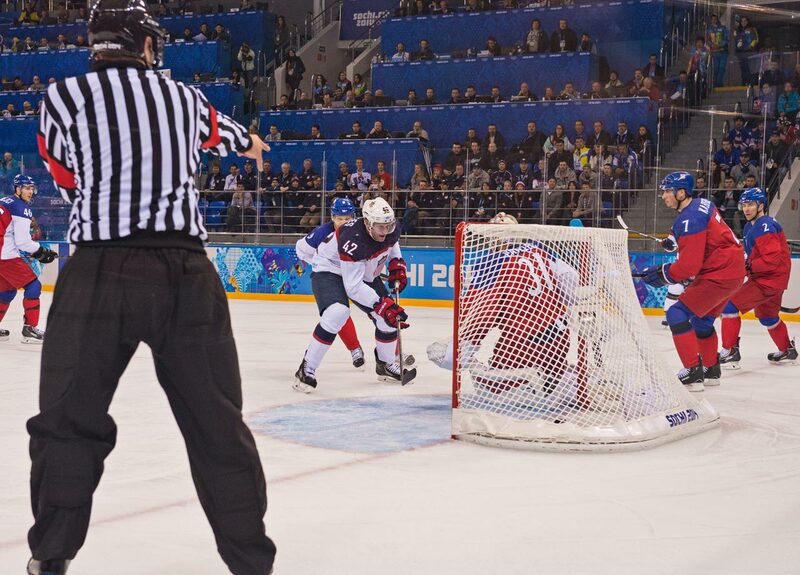 David Backes of the U.S. scores the 3-1 goal against the Czech Republic. Lauris Darzins of Latvia scores a goal against Carey Price of Canada in a game that was tied 1-1 late in the third period. The Canadians avoided the upset and won 2-1. 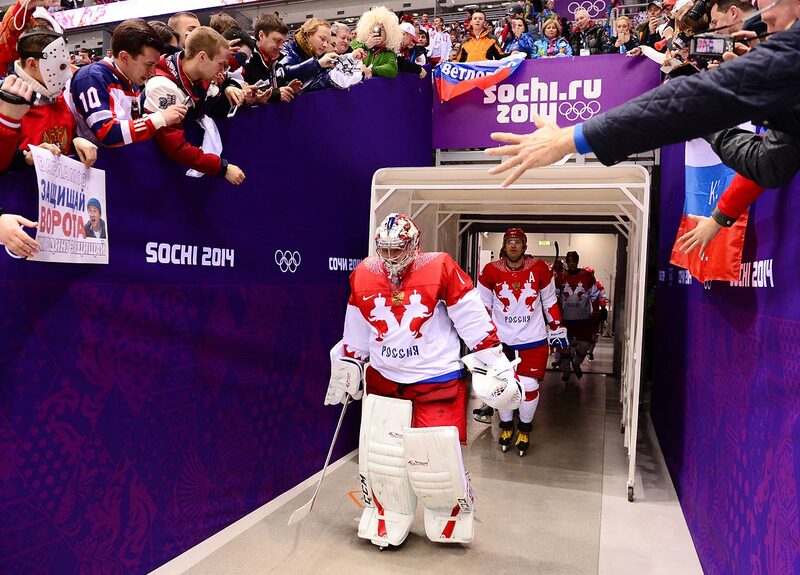 Semyon Varlamov leads Russia onto the ice for its game against Finland. 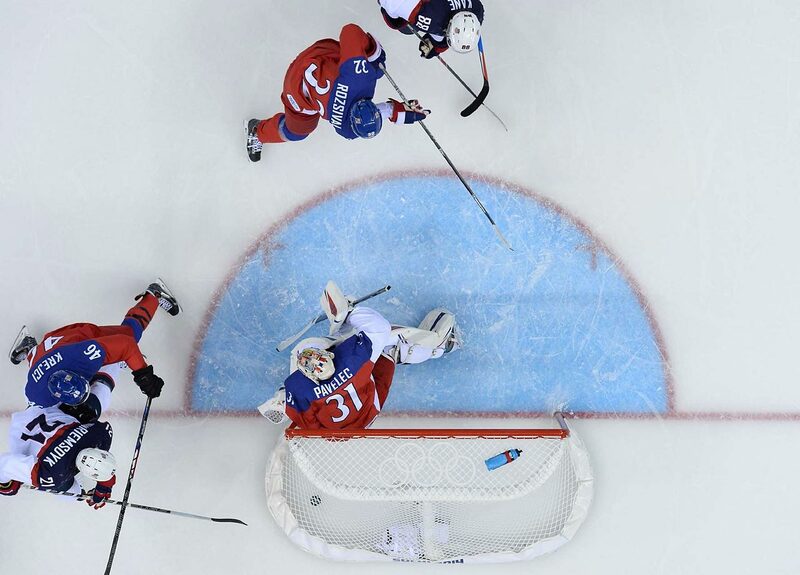 In a shocker to the host country, the Russians lost 3-1. 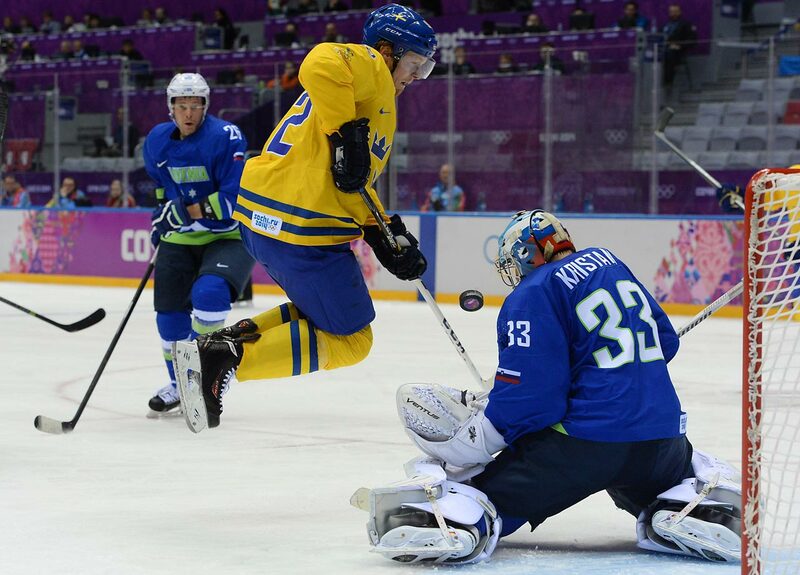 Goaltender Henrik Lundqvist of Sweden makes a save on Slovenian forward Jan Urbas during a quarterfinal game between the two countries. Sweden won handily, 5-0. 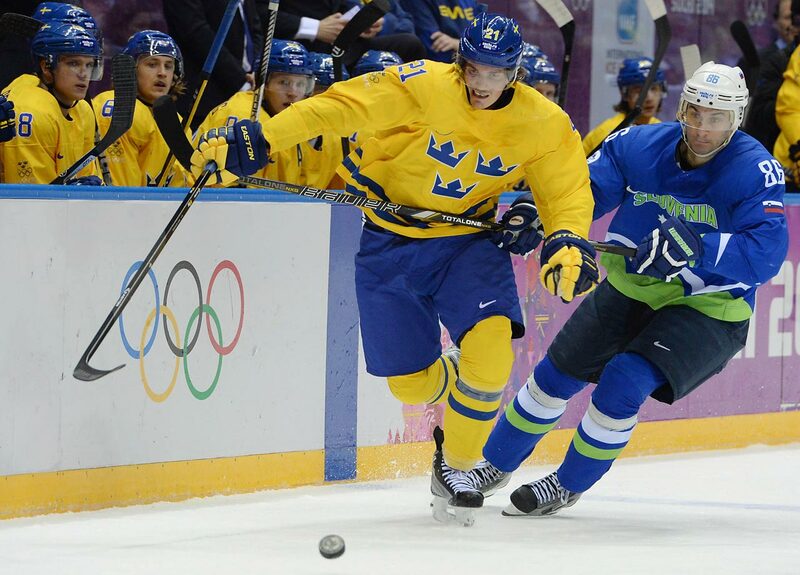 Swedish forward Loui Eriksson races after the puck as Slovenian defender Sabahudin Kovacevic attempts to disrupt the play. 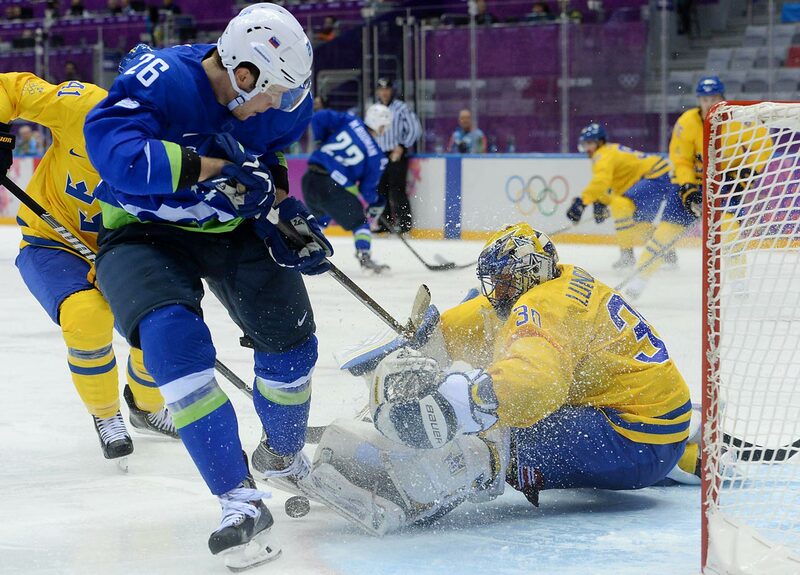 Slovenian goaltender Robert Kristan deflects a shot by Swedish forward Gabriel Landekog in a quarterfinal game. Sweden advanced with a 5-0 victory. 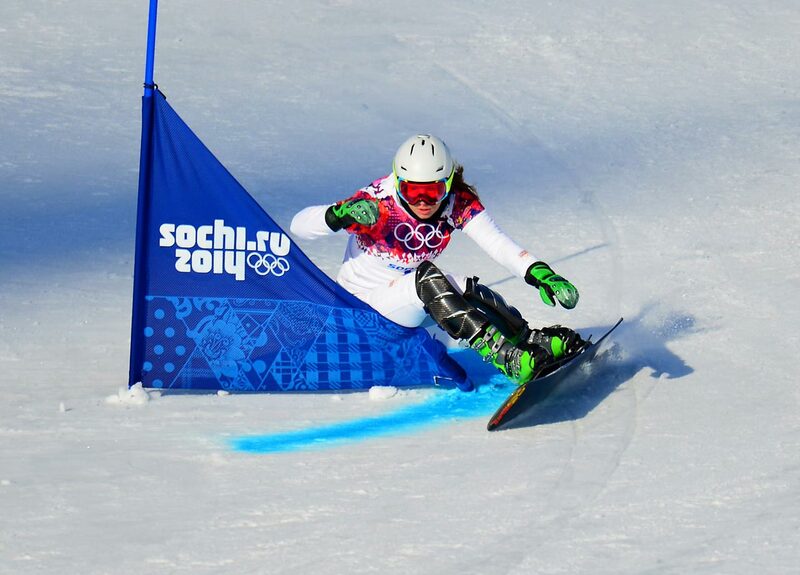 Snowboarder Vic Wild of Russia races through the men's parallel giant slalom course. Wild, a native of Washington state but a Russian citizen as of three years ago, won the gold medal for the competition. 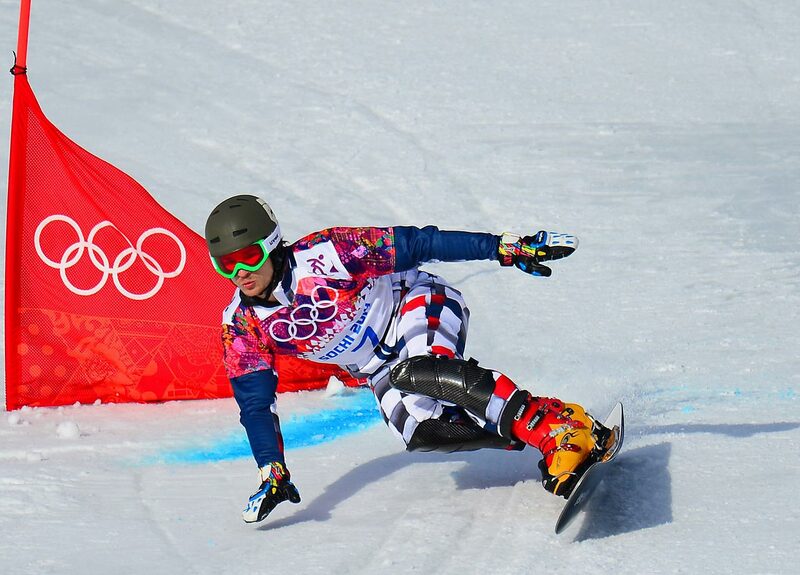 Japanese snowboarder Tomoka Takeuchi glides through the snow during qualification for the ladies' parallel giant slalom. 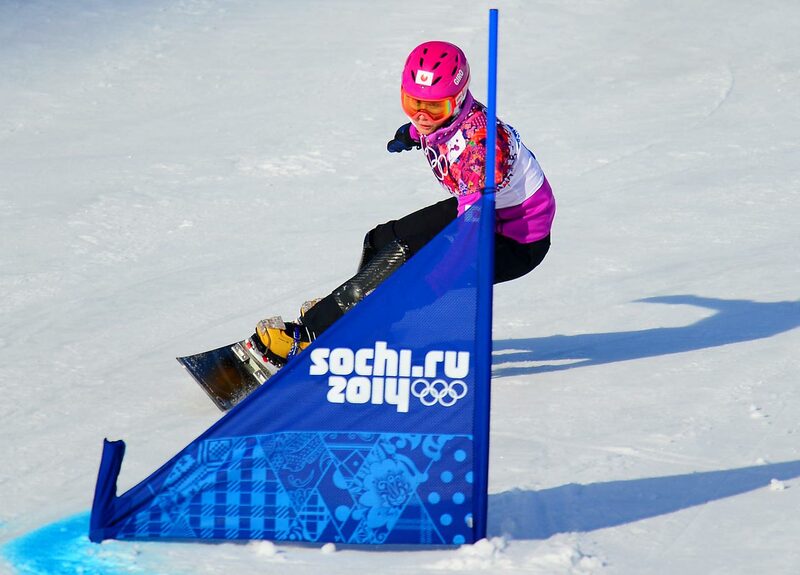 Snowboarder Ester Ledecka of the Czech Republic maneuvers through the course in a qualifier for the ladies' parallell giant slalom.